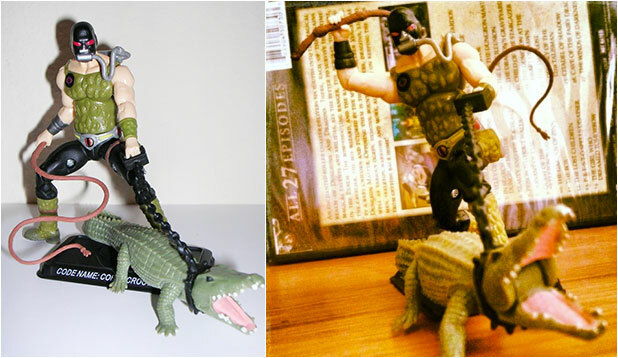 Stories from the Toyshelf: Crocs, Raptors & Snakes Oh My! Crocs, Raptors & Snakes Oh My! 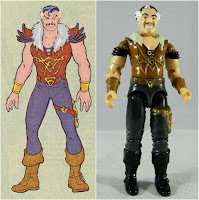 At the height of its popularity in the 80’s the G.I.Joe A Real American Hero toyline was churning out quite a lot of new characters and action figures every year. The majority of the new characters were Joes of course with just a few slots going to Cobra. And of those few choice slots, half of them were usually new types of army building troopers. We rarely got too many unique individual Cobra characters. That is until 1987, when Hasbro released a quartet of some of the most cooky operatives to ever sign up for Cobra. 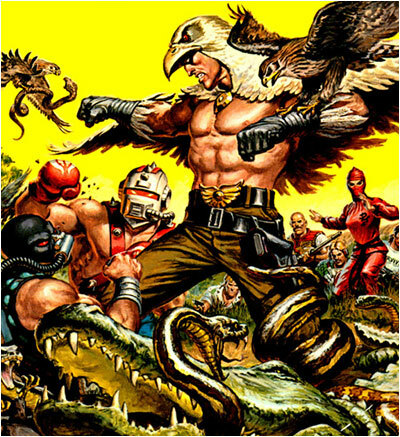 Of course, because their designs were so bad, they have become some of the most memorable and dare I say “beloved” Cobras to many G.I.Joe fans and collectors, because as kids not having any guns didn’t mean you were uncool..but being able to control birds of prey, crocodiles and so on was. Unfortunately, since they were released towards the tail end of the cartoon, they were never featured in animated form. In the comics however, they each got some time to shine whether in the original Marvel comics run, Devil’s Due or IDW. A couple of them even have interesting backstories as to why their toy was created in the first place. 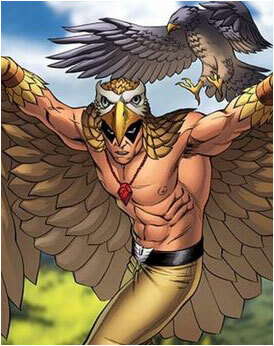 Raptor was your typical white collar accountant who had a fascination with falconry that eventually turned into an obsession. He went as far as to dress himself up like a bird and live in a giant birdcage because he figured they responded better to him that way. He soon turned to a life of hunting and poaching breeding larger and stronger birds of prey. 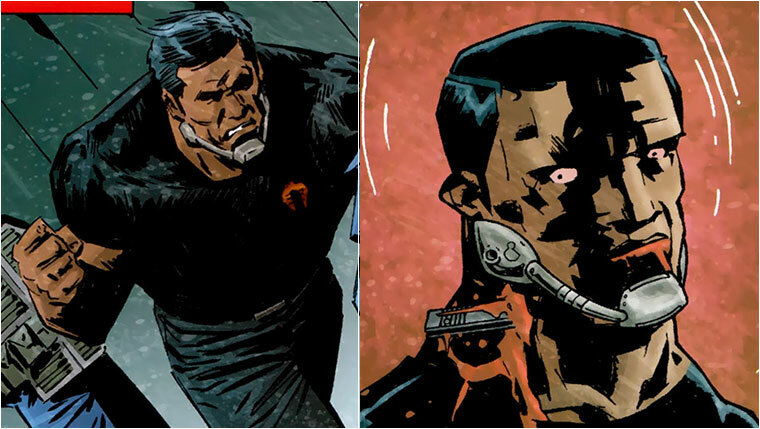 He was soonafter recruited by Destro to the Cobra ranks after he was caught targeting minks on a Cobra owned ranch. (I swear I am not making this stuff up). 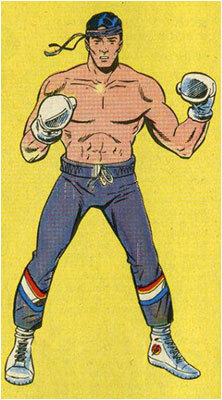 In the original Marvel comics he worked closely “undercover” with Crimson Guardsman Fred VII. When the original Cobra Commander was abandoned by Serpentor, he took refuge in Fred’s garage where he was presented with a new battle armor to take back the Cobra leadership. But the former commander had other plans and decided to “retire”. This didn’t sit well with Fred who dedicated his entire life to Cobra and he shot him in the back as Raptor stood back and watched. He then proceeded to help Fred in bury the commander's body. Unfortunately for Fred (and Raptor), the Commander didn’t die (that’s another story for another time) and he came back with a vengeance retaking Cobra. In his first act as leader, her buried all his operatives that he considered traitors in a freighter under a volcano alive, including poor Raptor. Unfortunately, none of his trained birds could get him out of this predicament and he was one of the men who eventually died of botulism in the freighter when they tried to subsist on tainted food rations found inside the freighter. Ok, so to make sure they had all their bases covered, Cobra decided to recruit a hypnotist because well...everybody needs one of course. He is supposedly the love child of a Romanian man with psychic powers and an American woman from Bangor, Maine and is the seventh son of a seventh son. 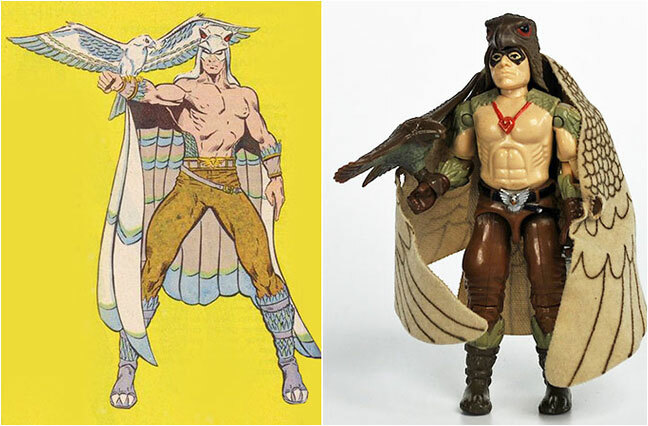 Anyway, regardless of his debatable usefulness in the Cobra ranks, the actual production history of his character & toy is what makes this guy unique. 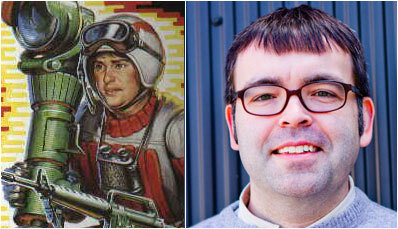 Supposedly, Owen King, son of famous American supernatural/horror author Stephen King was a huge G.I.joe fan when he was a boy. So much so that Hasbro designed and named the Joe character “Sneak Peek” after him (if you look at the card art, you could say he kinda even looked like him). In return, Stephen King (or his son Owen) created the character Crystal Ball for Hasbro, who wanted to add a magician and some mysticism to the series. In 1985, with 2 successful movie franchises under his belt, Sylvester Stallone was quite a big deal. So big that 2 toy companies tried to get in on the action. Coleco wanted to build an entire toyline around his Rambo franchise, while Hasbro aimed to recruit “Rocky” into the ranks of G.I.Joe. Initially, Rocky’s recruitment was going well enough for Hasbro to go ahead and include the character in their “Order of Battle” comic source book in 1987, start pre-production on an action figure and even add a nemesis for him into the Cobra ranks. Since both Ivan Drago and Clubber Lang weren't available, Big Boa was born. Before anything could become official though, Coleco stepped in and beat Hasbro to the punch, stipulating that they would only go ahead with Stallone if they went exclusively with them. Naturally since they were offering an entire toy line versus a single action figure (an exclusive mail away at that!) 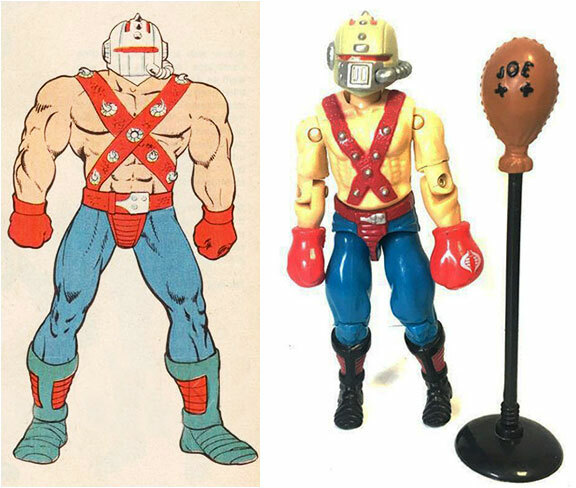 Coleco got their way and Rocky’s inclusion to the Joe ranks was cancelled and his bio retracted on the very next issue of the series. 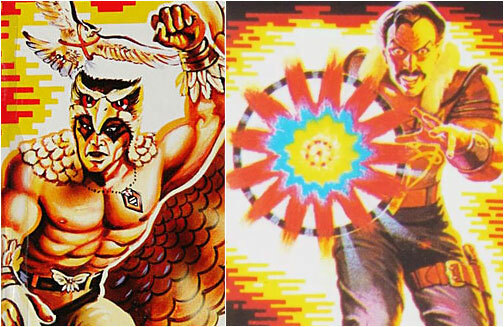 Fortunately, Coleco couldn’t care less about his “nemesis” and so Big Boa, the Cobra combat instructor continued onto production and was released. With his face entirely encased in a spiked helmet and bare chest with spiked overalls he looked more like a post apocalyptic Mad Max reject than a military trainer but whatever, he looked menacing enough which I guess was the point. I don’t really remember him much in the original Marvel comic, but in the Devil’s Due series (which was a continuation of Marvel run) he was killed off panel as a way to introduce a deadlier threat to the Joe forces. But like Crystal Ball, in the more modern IDW, series, a simpler and arguably more fearsome version of Big Boa is introduced in their “Cobra” series. 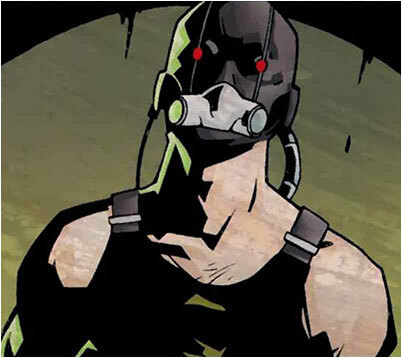 Gone are the helmet and spikes, replaced by a basic metal jaw and a hulk sized body. In the series, he came close to killing exposed undercover Joe agent Chuckles with his bare hands before the latter managed to pull off a hail mary victory by stabbing him in the neck with a gun slide. 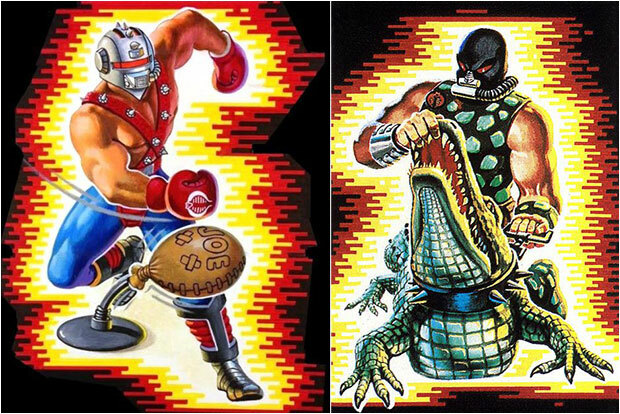 Whether it was because of his scaly vest and boots or that he trained ferocious alligators and crocodiles, Croc Master was arguably the “coolest” looking of these four crazy characters. He was the in charge of security in Cobra island, populating the sewers and swamps with his supposedly trained man eating reptiles. 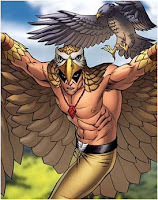 In the Marvel comics, while I’m not so sure of exactly what he did (I guess he sided with Serpentor) he unfortunately shared Raptor’s fate, dying of botulism after being buried alive by Cobra Commander. 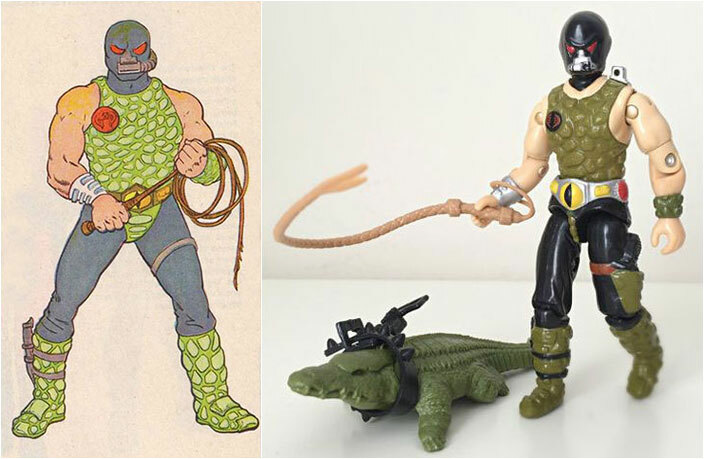 Whereas his toy and Marvel comic appearance gave him a rough, muscular look, his modern version in the IDW comic went the other way, giving him a hunched skinnier body and ditching the reptile scale for a more practical modified wetsuit. They also gave him a more detailed backstory where he grew up in the Florida everglades under an abusive father who called himself the “Croc Master” and poached gators for their skin. He eventually ended up feeding his own father to the gators and took over the mantle of “Croc Master”. 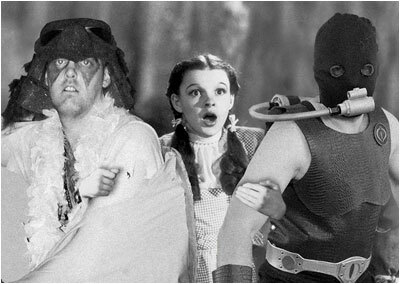 Before he wes recruited by Cobra he was an eco terrorist, hunting down other poachers and individuals who sought to do damage to the swamp. And to add to the creep factor, it is also implied that he is a cannibal, having supposedly eaten an assistant assigned to him who was too….plump. This version of Croc Master also meets his untimely demise when he and a number of his crocodiles are shot to death by a Cobra defector that he tries to stop from escaping. Anyway, toy-wise, none of them got much toy updates aside from their original figures which most likely warmed pegs in their day. The only one to get a modern update available on retail was Croc Master as part of the 25th anniversary line. Unfortunately, that really didn’t amount to much as he wasn’t very popular. I still have an unopened extra one that I can’t for the life of me get rid of even at a dirt cheap price. 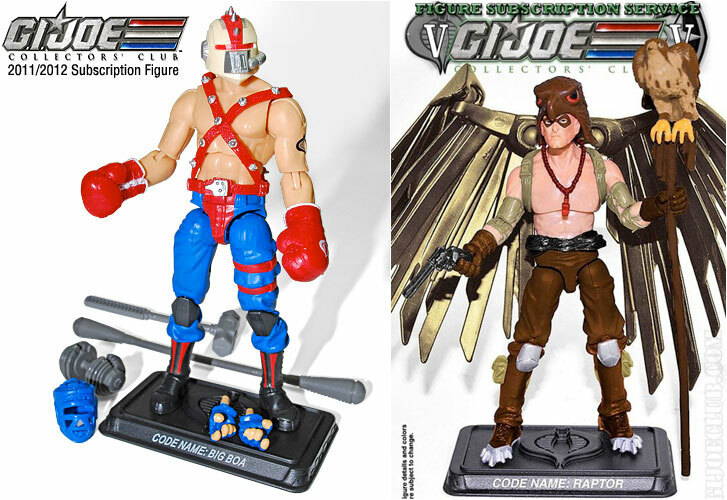 To get modern updates of the other 3, you would have to go a more exclusive route, that being the G.I.Joe Collectors Club who for the past years have been releasing toys of characters not covered by the retail line through an exclusive subscription service. Meaning you had to buy all 12 action figures in each annual lineup or pay higher prices for individual figures on the secondary market. Big Boa was part of the first series sold in 2013, Raptor in 2017 and Crystal Ball will be a part of the upcoming series next year. Unfortunately for me, I missed out on Big Boa and Raptor and their insane prices on eBay will keep them from becoming a part of my collection any time soon. Hopefully I’ll have better luck next year with Crystal Ball to keep my Croc Master company. So anyway, at their best, Raptor, Big Boa, Crystal Ball & Croc Master represent Hasbro at their imaginative best thinking outside of the box and refusing to be restrained by the whole “military” theme of the G.I.Joe brand. But at their worst, they will go down as four of the stupidest characters to ever be introduced to the toyline.